This approach is simple and works well enough most of the time, especially at low levels where the damage from a single hit can make a big difference and missing can build tension, but can sometimes lead to boring slogs when results are chains of misses and the influence of any single action is low. 2d6+1 yields 28% it gets worse, 44% mixed, 28% success. 2d6+2 yields 17% it gets worse, 41% mixed, 42% success. 2d6+3 yields 8% it gets worse, 34% mixed, 58% success. While this might seem okay if you like to keep numerical inflation to a minimum anyways, it does, somewhat counterintuitively, make the marginal bonus (the next potential +1) always more influential, in terms of mechanical effectiveness, than the last +1. 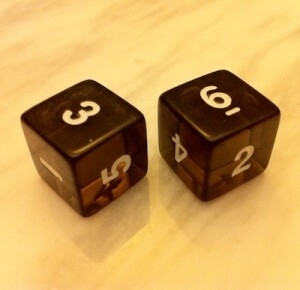 2d6 is also incompatible directly with d20 systems. It is easy enough to create a similar method using 1d20 though, and such yields a uniform distribution, meaning that each marginal +1 has the same impact on resulting probability (+5%). Single digits = bad is easy to remember; 19 or higher = extra good is also easy to remember. The outcome ranges could easily interoperate with standard ability or attack bonuses. Bonus increments correspond to 5% probability adjustments, which are easy to reason about. This differs slightly from the approach taken by the traditional attack roll and similar resolution systems, where the roll, modified by properties of a character such as attack bonus, must attain a threshold determined by some external factor, such as armor class. In contrast, the Apocalypse Word target numbers (and these adapted d20 target numbers) are fixed. If the only modifiers to the roll are character properties such as ability score bonuses or attack bonuses, then this resolution mechanism is essentially solipsistic; the result is unaffected by things external to the character. This could be an issue if you want success versus a dragon to be less likely than success versus a goblin. Using situational penalties could address this problem, but that way lies the hassle of adding and subtracting a host of potential bonuses or penalties. 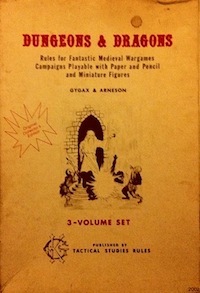 Used sparingly this works well enough, though it is less than ideal, and anyone that has played Pathfinder or even something like traditional AD&D should be familiar with modifier creep (1d20 + strength bonus + attack bonus + magical weapon bonus – odious magical aura penalty … and so forth). It works mathematically of course, but can be a mess. This adds some complexity at first glance, but also supports slightly more granular outcomes that are also relatively easy to remember, especially 1 = F. The only threshold without an easy to remember association is the transition between C and B results, occurring at 16. Further, now it becomes easy to see how the tiers of this solipsistic resolution system could correspond to properties of a fictional world, if desired, without needing to worry about setting difficulty classes by challenge. For example, results of C hit unarmored opponents, results of B hit lightly armored opponents, and results of A hit heavily armored opponents. More generally, C = easy, B = moderate, and A = hard, assuming easy tasks still represent an uncertain outcome that is potentially consequential either way (otherwise why bother rolling at all?). Or: C = success with setbacks, B = success, and A = extraordinary success. What about the dragon > goblin issue described above? One could also model this difference through hit point totals and the severity of complications. This set of outcomes is less sensitive to bonus inflation than 2d6 +stat but would still break with Pathfinder-scale bonuses of +15, so some consideration of bounded accuracy would still be required. Basically, just keep bonuses from growing too large. +10 means that a character would always be at least in the success with complications tier apart from the 5% chance of rolling a natural 1, assuming conventional interpretation of natural 1 results. 1-10-16-19 seems easy enough to remember and has the potential to be universal, applicable to anything that one might normally resolve by rolling a d20. I think I may give this a shot the next time I run something. This entry was posted in Rules on January 1, 2018 by Necropraxis.